All for the love of you! Of a bicycle built for two! Do these lyrics sound familiar? 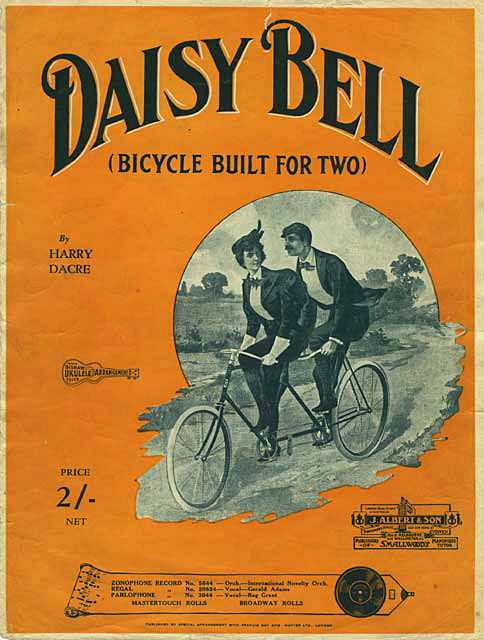 Many from my generation will recognize them as the memorable chorus from the old song “Daisy Bell.” This song, written in 1892 by a British songwriter named Harry Dacre, became quickly popular due to its charming depiction of the tandem bicycle. 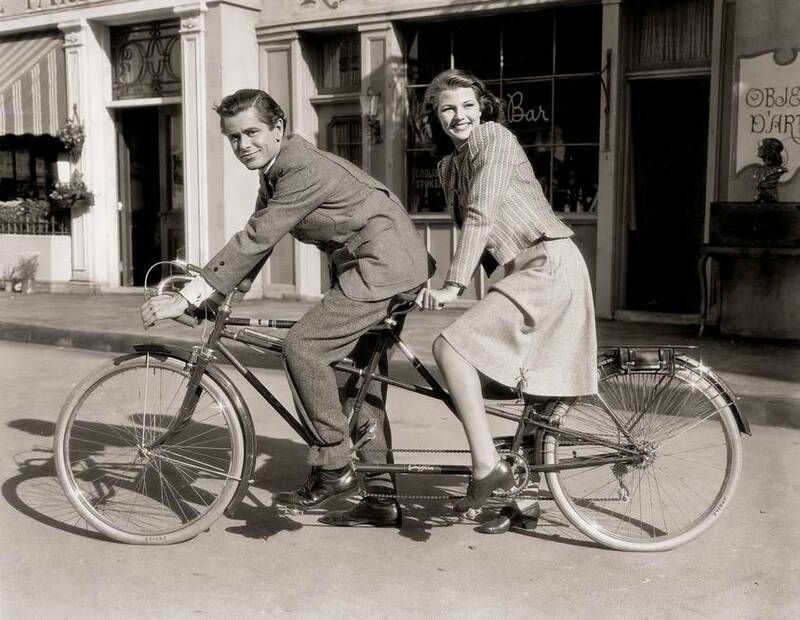 Today, we’ll go back in time and share a little bit of history about the “bicycle built for two.” Enjoy! 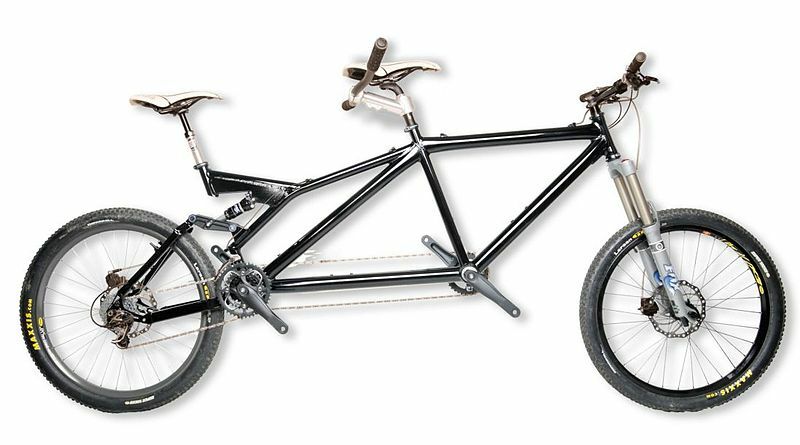 What is a tandem bicycle? A form of bicycle designed to be ridden by more than one person. What is the history of tandem bicycles? 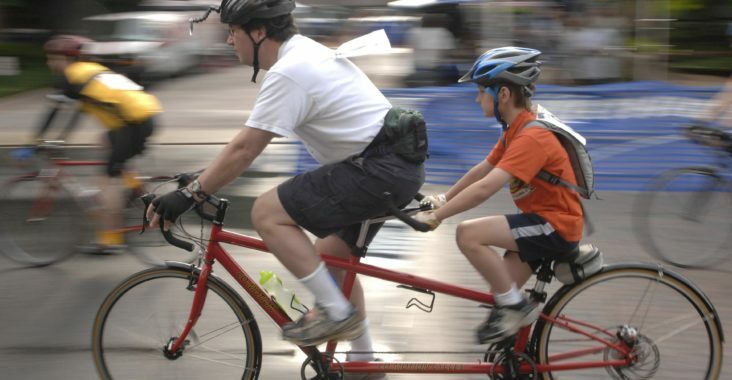 Tandem bicycles first came into being in the late nineteenth century. The first publicized “bicycle built for two” was created by Mikael Pederson, a Danish inventor. The bicycle weighed 24 pounds and was coined “the Pedersen bicycle.” He also made a bicycle that accommodated four riders that weight 64 pounds. 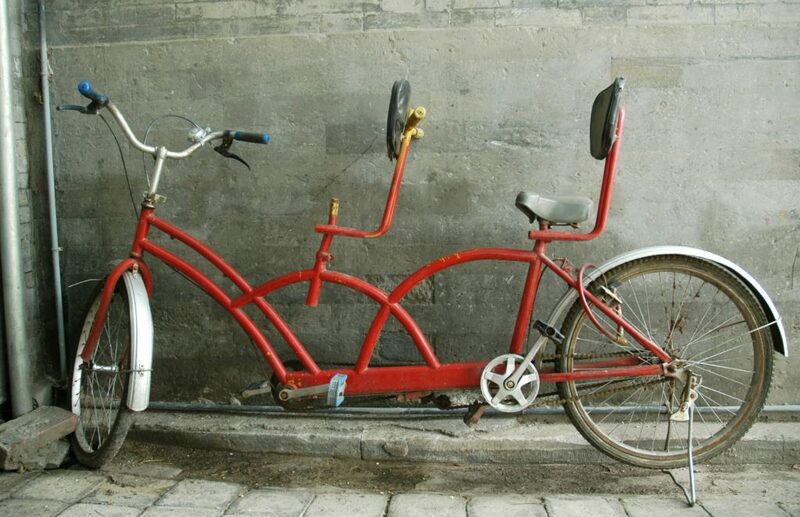 Many of the first tandem bicycles were designed for couples. Women would typically ride in the front seat and the man would be situated in the back and would steer the vessel from the rear. These models were known as “courting bikes.” Courting bikes were built to allow a woman enough room for her dress to hang free and give her an open passageway at the front in case she needed to escape. After World War II, the popularity of the tandem bicycle began to wane. Although their marketability decreased for several decades, they resurfaced in the 1960s and became attractive to the public once again after The Tandem Club was founded in the United Kingdom in 1971. This resurgence of tandem bicycles prompted the French companies Lejeune and Gitane to produce new tandem models. Due to modern technology, highly efficient tandem bikes were produced with improved components and frame designs. Now, the modern-day tandem bike is just as well-built, sleek, and efficient as are road bikes. Today, tandem bikes are highly developed and have double the power compared to a traditional single-rider bicycle. 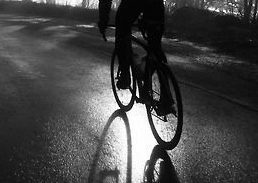 Although many people think that these bikes would be difficult for hill climbing, a high-level of coordination between two riders prove that ascending elevation is actually easier. High-end tandem bikes weigh less than two times the weight of a single bicycle making them lightweight and giving them a slightly better power-to-weight ratio. When two cyclists of the same ability are matched, they can cover a great distance in the saddles of a tandem bicycle. 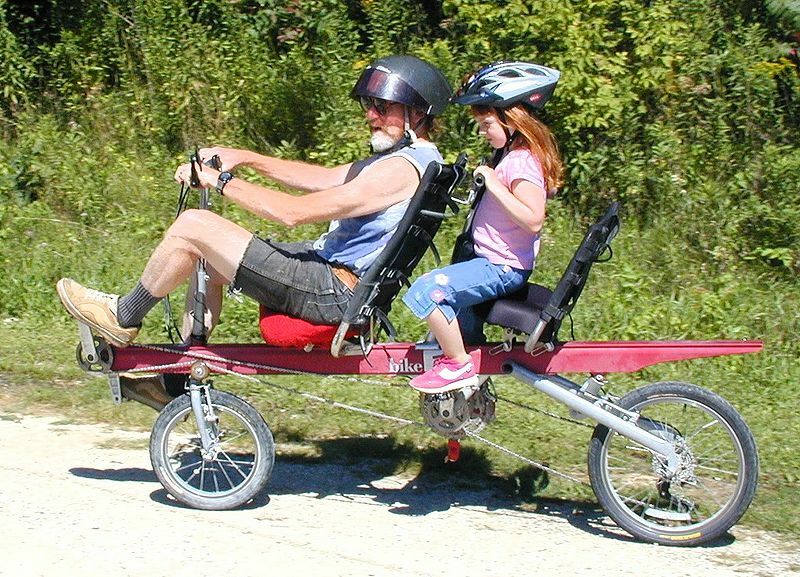 However, most individuals who ride tandem do so for leisure. 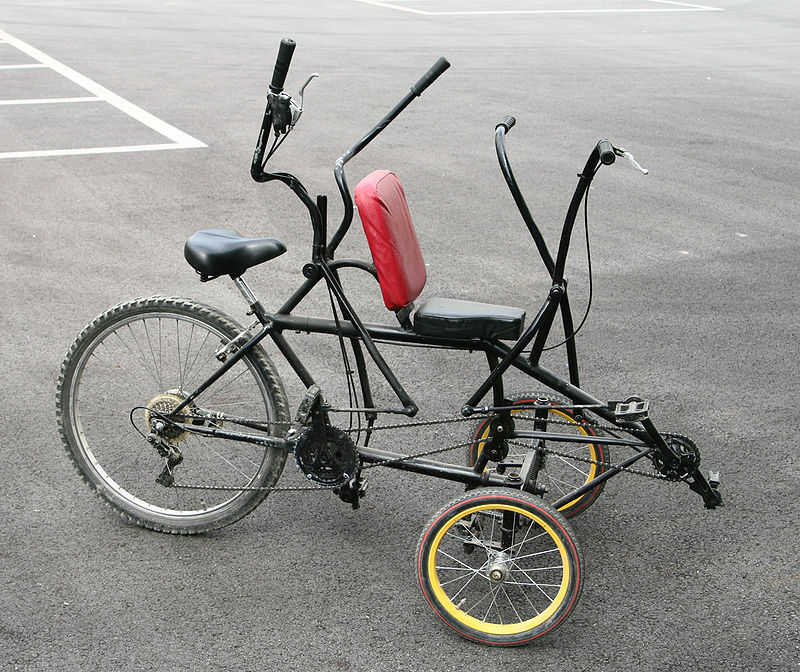 There are many variations on the arrangement of a tandem bike as pictured below. Tandem bicycles are also used in well-known competitions like the Paralympics wherein visually impaired cyclists ride along as strokers with captains. Historically, there was also a tandem event in the 1908 and 1920-1972 Summer Olympics.